As Patrick Ewing entered the Press Room after a historic loss to Villanova, he said “They are number one for a reason. 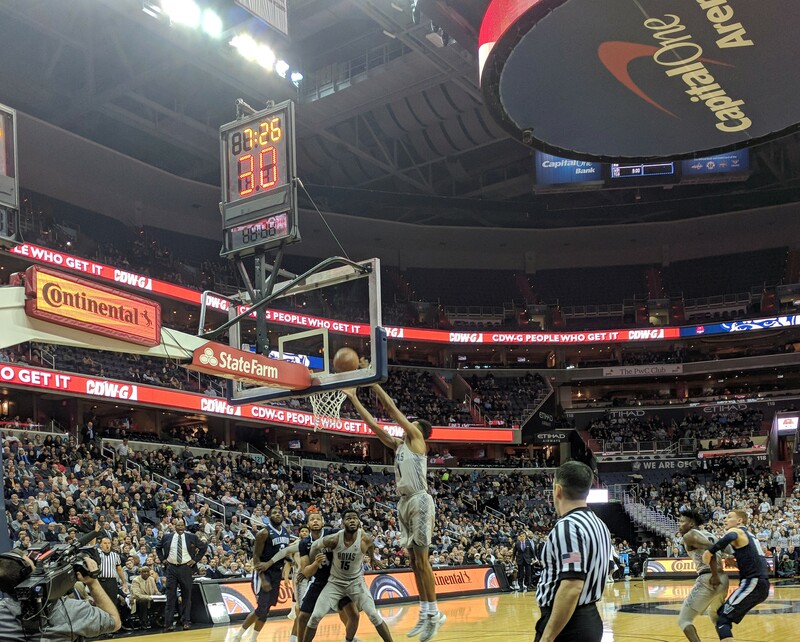 We are going to have to learn from it and get ready for the next game.” And there you go, the Big Hoya was ready to move on from their 88-56 loss to the Wildcats. It’s the largest Big East loss in Georgetown history. The last two games of the three game homestand could determine how the rest of the conference schedules goes as the Hoyas face the St. John’s followed by DePaul. The Hoyas two conference wins came on the road against their next two opponents. Georgetown currently sits in eighth place with a 2-5 conference record. But, getting to 4-5 is possible for the Hoyas, who have shown improvement despite last night’s result. Coach Ewing could only go with in so many directions with his backcourt. Jonathan Mulmore was dogged by foul trouble and only played 12 minutes. Jahvon Blair and Jagan Mosely combined for six turnovers. In the first game, against St. John’s, Mosely played his best offensive game of the conference season, scoring 13 points but he also turned the ball over six time. As a team the Hoyas turned the ball over 22 times that night. It made the 69-66 victory much closer than it had to be. In the previous meeting with DePaul, limited their turnovers to 14 and scored 91 points. All the pieces might not be there but Coach Ewing has seen glimpses of his guards having the ability to run his offensive concepts. That type of execution will be needed in the next two games, if the Hoyas want to get out of the bottom three of the conference. Next Post: American Falls to Holy Cross.